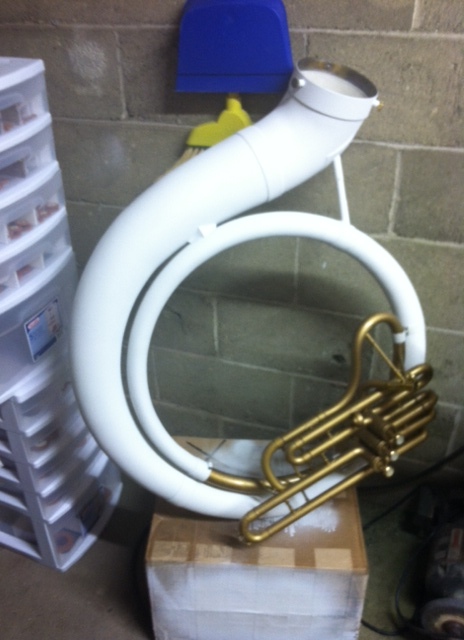 I bought this sousaphone recently for a customer looking for a fiberglass horn. The horn was in pretty good shape but the paint was very yellowed and scuffed up from years of use in a high school marching band. So I needed to repaint it to make it look nice. I figured the best way to get an even coating and easy access to the whole body of the horn would be to suspend it in the air. 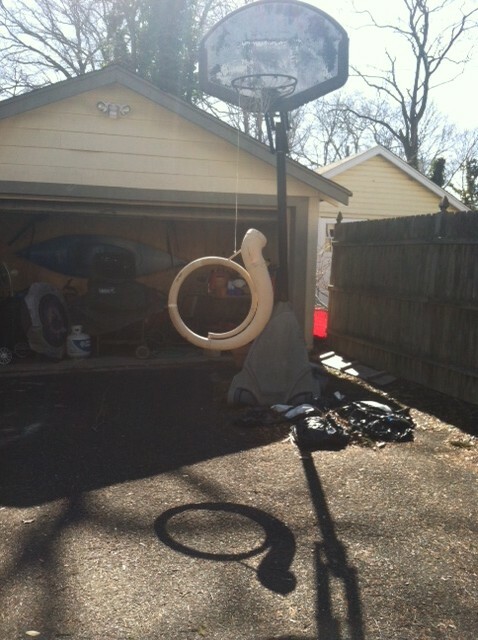 I used some household twine and hung the body from our basketball hoop. It worked out pretty well.